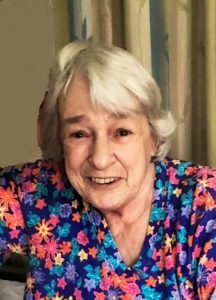 Lucy L. Costa, 79, a resident of Windemere Nursing Home and formerly of Woodside Village for 20 years, died on Sunday, April 7, 2019. She was formerly the wife of Joseph H. Roy, mother of Brenda Lee Viera, Crystal J. Roy, Sharon H. Fisher, Marie Elena Hussey, and Richard Roy, and sister of Arthur Costa. She was predeceased by her son, David A. Roy. A graveside service will be held on Saturday, May 4, in the Old Westside Cemetery, at the corner of Cooke Street and Pease Point Way South, Edgartown, at 10 am, officiated by the Rev. Michael Nagle. Please wear something red, which was Lucy’s favorite color. A reception will follow at the P.A. Club in Oak Bluffs at 11 am; please bring a dish to share. Donations in her memory may be made to the Holy Ghost Society, P.O. Box 2203, or to Windemere Nursing and Rehabilitation Center, P.O. Box 1747, both in Oak Bluffs, MA 02557.